Recently we were featured on Wayfair’s online inspiration page to share the benefits and necessity of soundproofing and sound absorption materials. Singer, songwriter, producer or lover of music? This read is written with you in mind! 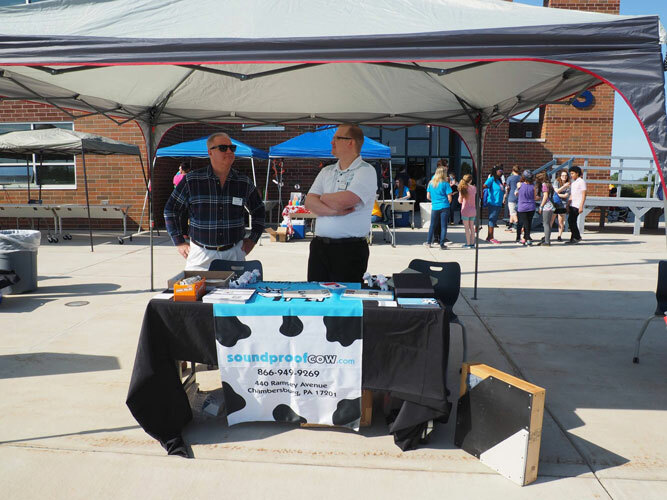 A distinguished educational institute recognized for innovation, leadership and educational excellence, the Career Magnet School in Chambersburg recently invited Soundproof Cow to set up a booth at their annual CMStival. An esteemed event during their Field Day, the Career Magnets School’s (CMS) goal is to provide a “Vendor Village” to represent local businesses to enable a hands-on experience for students with said companies and their contributions to the community. Our team representatives; Kellen Beaver, Senior Account Manager and Wayne Asper, Account Manager, provided product samples and literature about our products and Services. 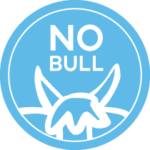 Also, they handed out Soundproof Cow’s signature stress Cows and Cow Tales® to students that stopped by the booth. Asper shares his day, “…was definitely a success. The thought we wanted them to remember was that it takes confidence to be successful at presenting yourself; it is as simple as the initial greeting with someone (a firm handshake, clearly introducing themselves and speaking about their passion). While the CMStival and the booth may be closed, you can still interact with the team by calling the Herd at 1-866-949-9269. The Houzz community has saved our photos to their ideabooks 25 or more times! Houzz recently added a “25 Saves” badge to our profile, and we’ll unlock new badges as more people save our photos.